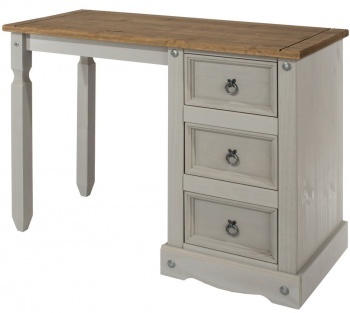 Traditional console styled dressing table with a timeless appeal Handy drawer in the centre is great for keeping make-up within easy reach. 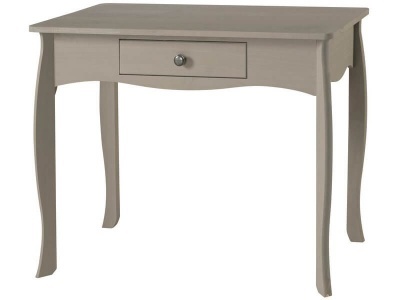 With its slender depth it is easy to fit this dressing table into your bedroom. 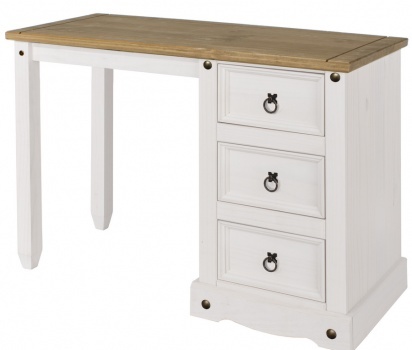 Chunky oak veneer top contrasts beautifully with the white painted legs of the dressing table. Mix and match with other pieces from the new Abella bedroom furniture range.